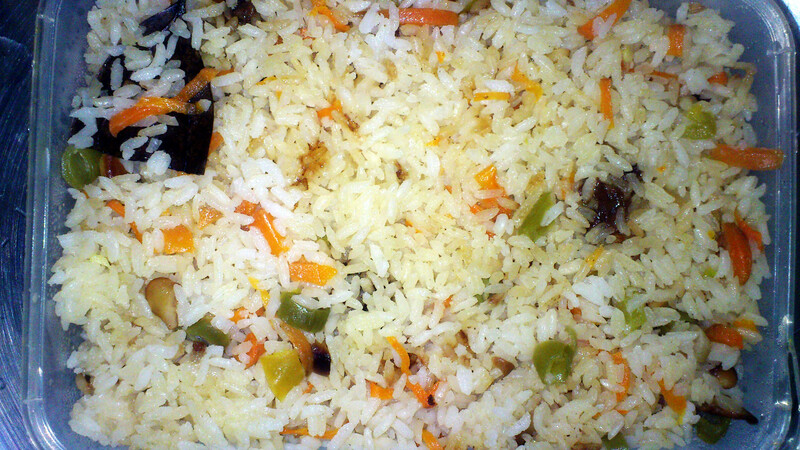 “Veg Pulao” or “Veg Polao” (as used by us Bengalians) is one of the most favorite preparation for any special occasion. It replaces the traditional Boiled Rice as the time goes by. Originated from South east Asian region, this dish is very popular in Bengali kitchens. It can be prepared using “Ghee rice/Gobindo Bhog rice” (in bengali) or any other Aromatic rices like “Basmati”, “Jasmine” or “Dehradun rice.” Cooked with a very simple one-go method (pressure cooked with water and ghee/clarified butter only), no multi-stage cooking involved. From the photo it is very clear that you can use many types of vegetables in it. You can add whatever you like. We have used Carrots, Beans, Cashew nuts, Capsicum etc. The aroma from the rice is like a dream… It can make me go faint with glee, A perfect companion for a plateful will be some Butter Chicken. That’s what we had.